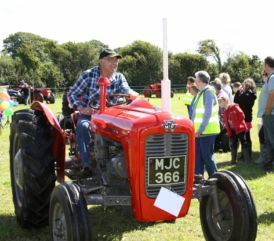 This section is for vintage tractor owners to exhibit their machines and a plaque will be presented to each exhibitor at the end of the show. This section will not take place in 2019. / Yr adran yma ddim yn cymryd lle yn 2019. For more information please contact Hugh Owen Hughes on 01286 881345.